The Things I Said I'd Never Do: Wait? We're at this point? Already? Wait? We're at this point? Already? A single white sheet of paper did me in. I’m going to receive this paper ever year for another dozen years and I’m sure at some point it will become an annoyance. At some point it won’t represented the passing of time but rather the passing of mass amounts of money from my wallet. That sheet of paper contained the school supply list for Max’s first year of preschool. He’s only three! Pre-school isn’t required for kids his age but as an only child in a new town Brett and I agreed he needs some socialization. Still, it’s hard to take that he’ll be in actual school. Not day care, or a glorified babysitter but actual school. He’ll be wearing a uniform! Gah! I’m not sure how we got there. The first year of Max’s life felt never ending. I was almost incapacitated frompost-partum depression. I was drowning in guilt because society told I was supposed to be some glowing, over the moon new mom. What I actually wanted to do was hand my baby to someone else while I spent the day crying in bed. I was never suicidal but I did wonder how I could just disappear. With time, support and a little professional help, things got better. Every time I see an exhausted, frustrated, end-of-the-rope new mom I want to hug her and promise that it will get better. I’m proof of that. After his first year, time has flown by and suddenly that 10lb 4 oz newborn is unique and distinct person who loves trains but hates naps. Now, I’m dreading handing my little boy off to someone else for 3.5 hours, 5 days a week. 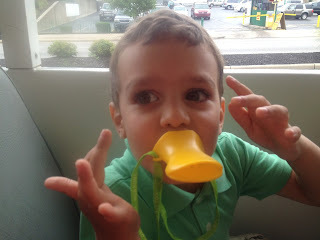 I worry how my son with the sensitive soul will handle when a kid steals his toy or hits him. I’m concerned with what will happen if he needs help in the potty. I dread that some teacher might see his spirited personality as an annoyance because he can’t sit still or gets wiggly when he’s excited. I know this is all a part of growing up and I refuse to be a helicopter parent. However it is breaking my heart to let go. 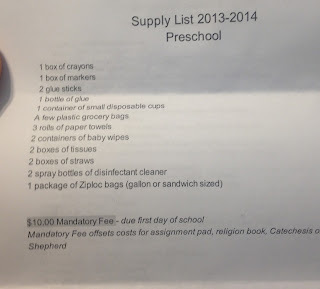 Here’s a poem my Mother-in-Law wrote, inspired by Max’s school supply list. She hit my sentiment right on the head. Before he goes to school? And strong enough to climb. To stories, poems and rhymes. And knowing when to hush. I know this same feeling.. Pepe will be starting the PSI program at Pulaski Elementary and will be riding the school bus. 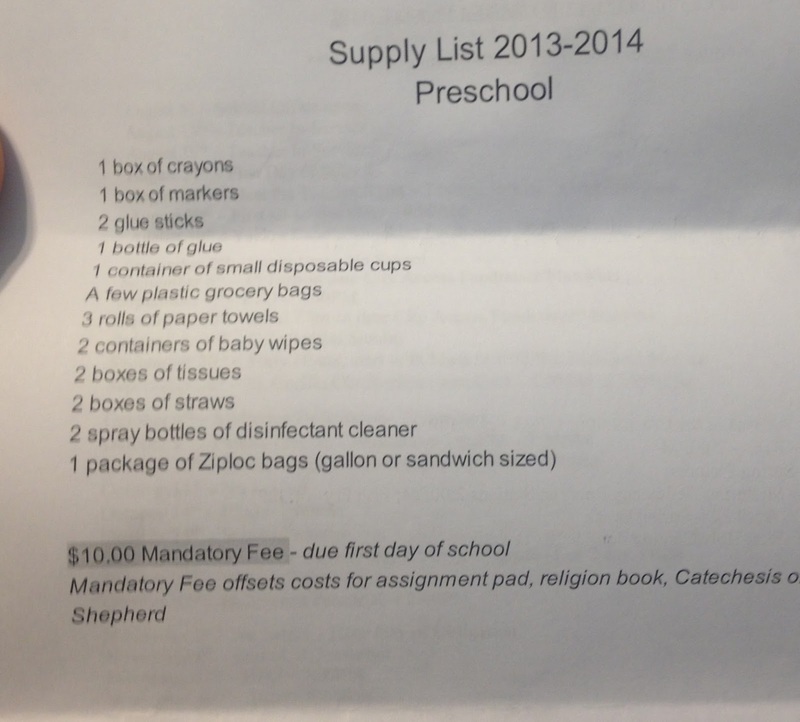 Also he has a long list of supplies and school uniforms. I'm not sure how I'm going to handle him going. Then I have Sophia starting a different school she is very upset that she Cant go with Pepe so I'm hoping she doesn't act out because she mad or upset. Again, you (and your MIL) hit the nail right on the head! I'm feeling those same feelings with Eli going to school, because he's my sweet little boy. Is it wrong that I'm not 100% upset that he hasn't mastered the art of the potty yet, simply for the fact it means he can't go to school in August? This is incredibly sweet. I love the poem! Mary- Where is Sophia going to school? It kills me they aren't going together. Abby- Being potty trained isn't all it's cracked up to me. Enjoy your extra time with Eli! Ok, when did Max get so big? I know I've kept up on things, but really, it's scary how time flies. I'm not even a mother and I teared up here. Oh my gosh, I love the poem, so cute! I can't even begin to picture uniforms in preschool! !